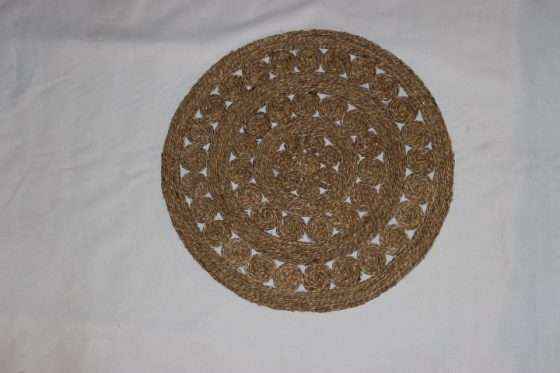 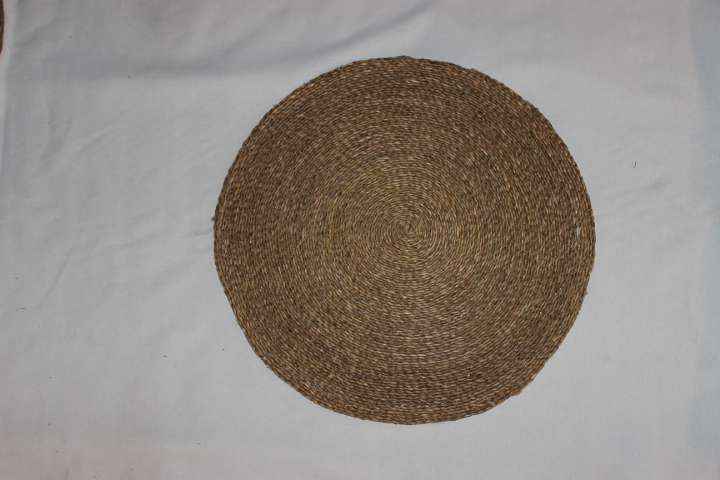 This round seagrass mat will bring character and charm to your house or place of work. 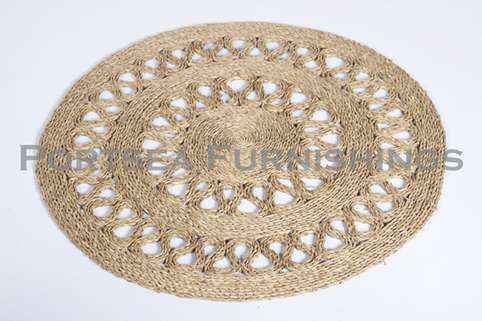 Portsea Furnishings round seagrass mats in the open weave design are available in 2 designs water drop design or marigold, and 3 sizes. All of our seagrass mats are made from 100% natural, renewable and biodegradable materials. The seagrass is found growing naturally in freshwater lakes and the seagrass is sewn together using jute twine. Available in 3 designs and 3 sizes.